HELP WANTED: MUST BE NICE, BELIEVE IN SANTA AND AVAILABLE HOLIDAY 2016 TO BE A JUNIOR ELF! Bob and I had so much fun two years ago when we used one of those ‘Dial a Santa’ free phone calls that you could personalize to your child. Brooke was already skeptical of Santa, so when she heard the phone ring and hear ‘Santa’s’ voice over the phone and calling her by name to be nice, she was ecstatic. It was so much fun and it was such a special way to celebrate our holiday season. I love Christmas because it seems magical. My children have their entire lives to be adults, so I want them to love their childhood right now before they become adults and the holidays are just another day. That’s why I was excited about a new-to-me product called the Official Elf Kit from the North Pole Kids’ Club. AH ha! What a wonderful idea for children to become Junior Elves and be polite, helpful, and merry – just like Ol’ Saint Nick. Check it out! Link to the North Pole Kids video HERE so you can see how the club works! There are even more details are at their How It Works page. Attention Junior Elves, our COE (Chief Operating Elf), Colleen Nutter, has direct orders from Santa Claus to certify as many Junior Elves as possible. For kids that want to stay off the naughty list, enlisting in the North Pole Kids’ Club secures a spot on Santa’s nice list. That’s because youngsters 4-years-old and up become Junior Elves by being polite, helpful and merry. The question is, are you interested in becoming a Junior Elf? If so, it all starts with the Official Elf Kit! What is the Official Elf Kit™? 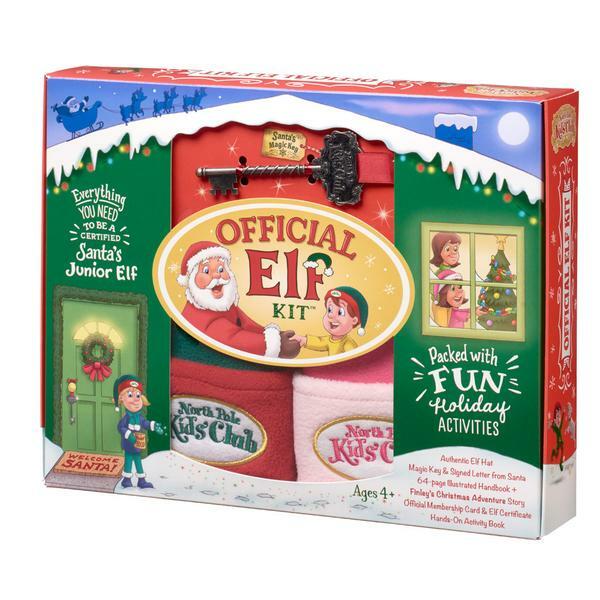 Winner of both the 2015 Creative Child Product of the Year and 2015 Family Choice Award, this year’s 2016 Official Elf Kits are jammed with merriment. Just how does one get to be a Junior Elf? The information is all in the kit, which has an illustrated 64-page handbook and a 16-page activity book that spells out everything in age-appropriate storytelling. 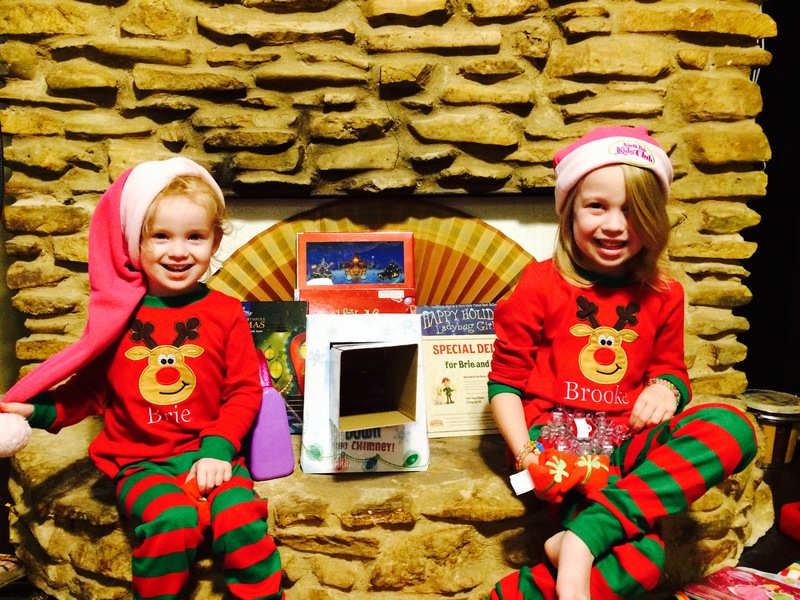 Older siblings are eager to help younger ones do festive activities or read aloud the story of Finley the Elf, keeping the magic alive another holiday season! At their North Pole outpost online at www.NorthPoleKidsClub.com, gift givers can request a free personalized special delivery form. Imagine the wide-eyed surprise the moment the mailman drops off their personalized kit! Inside the kit there is a letter from Santa asking for help. This year there are more good kids than ever before and the elves are so busy at work making toys that Santa needs help from special boy and girl Junior Elves to help him get presents to all the kids around the world. Every Santa’s helper gets an authentic elf hat, enclosed in the kit. It’s so fleece-y soft that kids have been known to wear it to bed! You can choose either a green or pink elf hat for your favorite little elf when placing an order. Becoming a certified Santa’s helper comes with cool benefits like an official membership card to the North Pole Kids’ Club. Children discover they can quickly earn their Elf Certificate, ready for hanging! Inside the kit is an extra special surprise – Santa’s Magic Key tied with a red ribbon! This is the real way he gets inside so many houses on December 24! Kids are told to hang the key on their front door on Christmas Eve and Santa uses it to make his delivery. Afterwards, he often leaves it on the Christmas tree or by the stockings, to be used again next year. Choose this when there are two potential Junior Elves at the same address. Select two green hats or two pink ones or one of each color. Tucked inside the festive box are two activity books, two elf certificates, two membership cards, one magic key, one Santa letter, and one 64-page Official Handbook. When the holidays are done, store everything elf-related in the festive box with the Christmas ornaments! Choose 2 green hats, 2 pink or one of each. COUPON CODE!!!!! There is still time to purchase the Elf Kits and receive it before Thanksgiving AND I have a discount code that will give you 20% off your order at checkout on the company’s website www.NorthPoleKidsClub.com. Use the discount code “BLOG20” for the discount and it expires December 5, 2016. Congrats to the North Pole Kids Club! 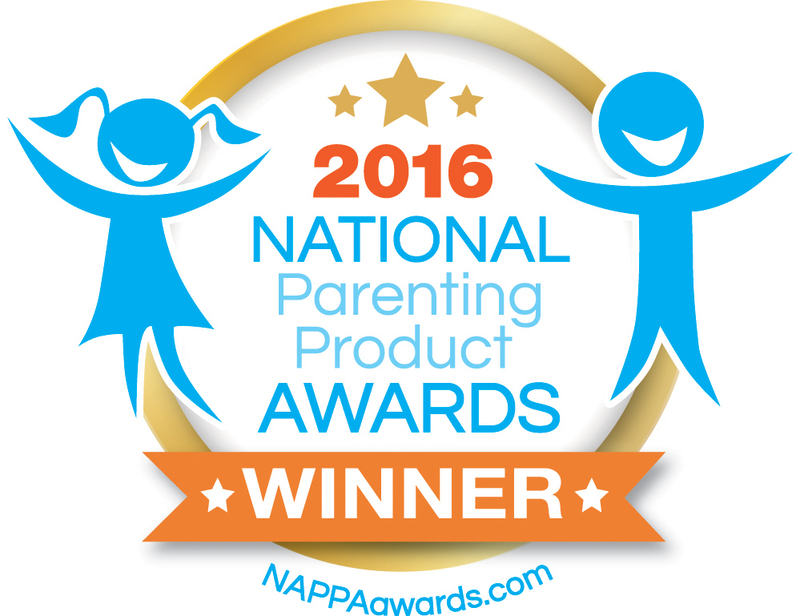 The Official Elf Kits just won the NAPPA and Tillywig Top Fun Awards for 2016! Wow! Free Activities! 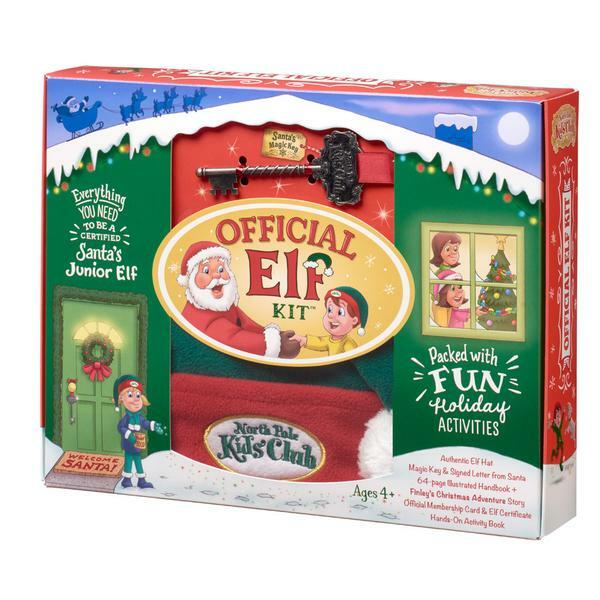 The North Pole Kids’ Club Official Elf Kit is packed with fun holiday activities. Check out this link here for some fun ideas and downloads! Don’t forget! Like the company’s Facebook page to follow along this holiday! If you click on the links under Free Activities you can do fun things like make Magic Reindeer Food, print coloring pages, and more! Here is a list of local stores that sell the Elf Kits, if you would like to purchase locally! ABOUT THE NORTH POLE KIDS’ CLUB: Since Santa is especially busy during the holiday season, the North Pole Kids’ Club has an outpost in Cooper’s Corner, a magic workshop just outside the city of Denver, Colorado. Here fun and festive products that promote family togetherness with the spirit of Christmas are created. 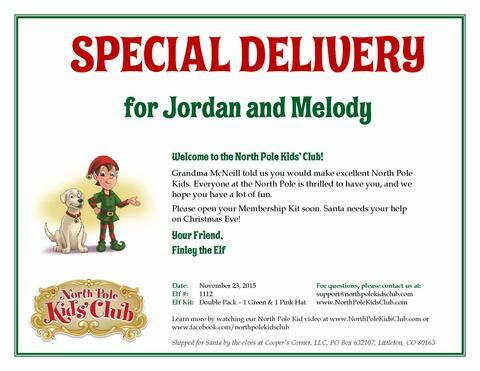 Start a family tradition with the North Pole Kids’ Club. Order an Official Elf Kit at www.NorthPoleKidsClub.com.